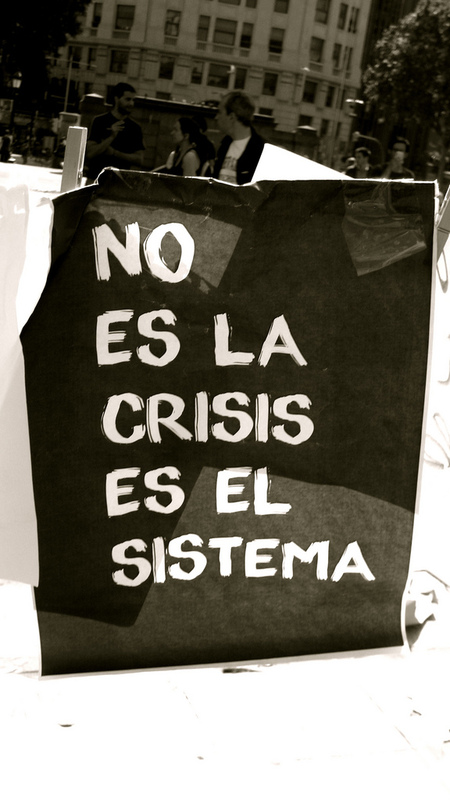 Good report from Spain on the continued attempts to ransack the common wealth and force the people to pay for the crisis through austerity measures, as well as the continuing refusal of so many Spaniards to accept it as inevitable. 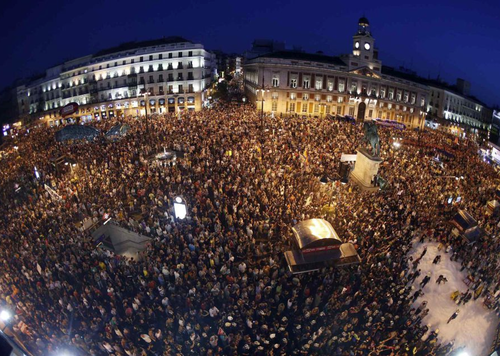 Take the Square is in general a good English language source for keeping up to date on the ongoing struggle in Spain (and elsewhere). At Lenin’s Tomb, a very rich analysis of the potential left victory at the polls in Greece. This is undoubtedly a hope-inducing development that is nevertheless fraught with potential difficulties. Whatever the eventual outcome, it is certainly good to see an anti-austerity line drawn in the sand, even if it is only rhetorical at this point. For those who read French, here is some of the history of the SYRIZA phenomenon from Stathis Kouvélakis. Most in the mainstream press assume that whatever the economic technocrats decide for Greece must be necessary. They also assume the corollary that the Greek people should see reason and accept whatever the Troika and their Greek mouthpieces hand down. Austerity is inevitable. Resistance is futile. In that climate it is nice to see John Holloway’s piece in the Guardian today say what people in the streets have been saying from the start. The problem is not the Greek people or their political mobilization. The problem is the rule of money and profit. This was posted at Infinite Thought. It is a series of short but really excellent talks given at Birkbeck about the political-economic situation in each country, as well as the extraordinary popular reaction and democratic experimentation in the squares all over Spain, Portugal, and Greece. The talks touch on the importance of joy in political mobilization, on self-organization, on the importance of political presentation as opposed to representation, and on the meaning of national flags displayed by people during the uprisings. The Rise of the Indignant: Spain, Greece, Europe | Backdoor Broadcasting Company.